Our toughest, most penetrating, longest range blowgun ever. The hunter's choice. If you are wanting a large bore blowgun that can shoot heavier hunting darts, the Amazon Commando is perfect for you. The larger bore allows you to put more air volume behind the dart allowing it to go farther and hit harder. The thicker tube is more rigid and therefore more precisely straight. 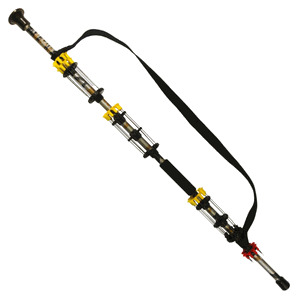 Enjoy the power, accuracy and shooting fun by getting your own Amazon Commando Blowgun today. Your blowgun will come fully equipped with an arsenal of darts and accessories to make your initial experience exciting. Be sure and get extra darts so you will have them when you need them.